What is LOVE, Dr. Cookerly? : Escaped Love Truths ??? Synopsis: Explore the concept that simple but profoundly important truths about love escape vast numbers of people leading to repeated love mistakes and relational disasters. Learn how we are made blind to these hidden in plain sight truths and how to unlearn misleading myths to see these truths is also explored. Learn a highly significant, often missed love truth is given as an example and, finally, what to unlearn to see it and 3 things to learn in its place are given. The earth was flat and that was that. Then somebody noticed that when person comes over a hill, you see their head before their feet because they are coming up over a rounded surface. Then somebody noticed you see the top of a ship’s mast coming over the horizon before you see its hull. Then it was noticed that this works in reverse too. The hull of a ship disappears first as the ship sails over the horizon and you see the top of the tallest mast disappear last. OMG, the earth must be round like a ball! Some of the most important truths about love seem to work just this way. They go unnoticed and not understood even though they are right there pervasively obvious once they have been identified but not until then. Even many of the smartest surgeons did not believe the germ theory at first, then years later the microscope was invented and germs were seen for the first time. How many lives could have been saved? There are those who can not see simple truths about love because they have bought-into the fallacy that love is too complicated to ever be even a little bit knowable. Then there also are the followers of US Senator Proxmire who worked to defund love research because he was sure the American people did not want to know what love was or how it worked. This, despite a 50 percent divorce rate, high spouse murder rates in every state, high severe parental abuse of children and a lot of other evidence of love relationships going tragically wrong. Can knowledge about love be put into practice curing and preventing most of those love relating disasters? More and more evidence points to the answer being a resounding – YES! (See “Above Normal Love”). However, there also must be some unlearning. So, how about you? Do you suppose some important truths about love may have escaped your awareness? 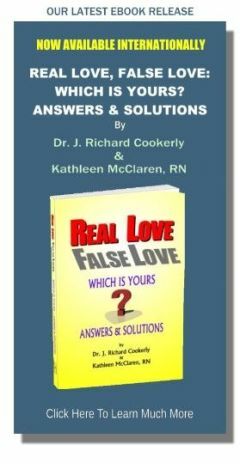 Could it be that you might come to have a realization concerning love that could vastly improve your life? Back in my relational therapy practice days, it was wonderful, time and time again, to see people come to a new realization about love and change their lives with it and, even in some cases, save their lives with it. The trick is you have to search for it and be open to it, no matter how scary or weird it might seem to be. (See “Contemplating Love”). So, let’s examine one of the truths that a lot of people don’t seem to quite get. A very ramifications-filled, complicated, multifaceted, tangled, simple truth about love is this, at least as I see it. LOVE FEELING IS NATURAL, LOVE RELATING IS LEARNED! So many people have been led to believe that falling in love and having love feelings will be enough to take care of their love relating issues. Sure, there may be a little work on communications, or something like that, needed along with that love. However, it’s your love feelings that will magically or automatically lead you to the solutions, answers, fixes or whatever else you need. After all, love conquers all, doesn’t it? One of my postgraduate interns did a pilot study asking a little over 100 divorce clients questions about what they believed would make their marriage work, before they got married. 92% agreed that essentially all they really needed to make it work was love and the rest would take care of itself (i.e. they didn’t need any special learning about relating). Post-divorce, 97% believed they could use all the special learning about love relating they could get. 2% still thought true love alone would suffice and 1% were not sure. There were some problems with this pilot study’s methodology so it did not go further but all-in-all I think it hits on a huge love truth. The huge truth is Love is the most important factor but, by itself, it does not take care of the learning required to make love-relating work. That you have to work at. The knowledge and skill of how to relate in and with love is not going to get into your head or your habits automatically or by love’s magic just because there is love in your heart. The love in your heart can motivate you to learn what you need to know, but that is not magic – it is time, effort and struggling to really get it and then do it in thousands of different ways. The struggle is enriching, surprising, mysterious, captivating, often joyous, awesome and super worth it. There are people lucky enough to grow up in very loving homes and they learn by a sort of osmosis. So many others, who make love-relating work well, first had a very painful failure. That failure motivated them to go looking for better ways which started them on the path of learning and practicing things that work better. What Has To Be Learned? Here is my understanding of major things to focus on to make love-relating work well. It is important to see what other people, who think somewhat differently than I do, say about this and form your own ideas and then invent what you will practice. (See “Thinking about Love to Improve Love”). 1. Developing a Love-Oriented Mindset - This usually involves acquiring an increasing amount of knowledge about love to think with; practicing learning to think about love in a variety of ways, times and situations; growing a habit of pondering how to practically apply what you are thinking about love to your life. Then making those thoughts lead to new love actions and finally analyzing the results of those actions so as to make future improvements. It also involves enjoyably pondering the great wonders of love, its mysteries, puzzles, possibilities and even its imponderables. Also important is growing the habit of thinking with a love-orientation whenever confronted with life issues, challenges, difficulties, opportunities and puzzlements. Perhaps most of all, is having fun with your growing love-oriented mindset. 2. 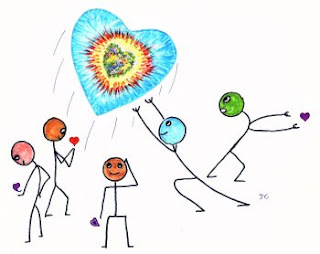 Developing a love-oriented way to deal with love’s many emotions - Comprehending that love is not an emotion but rather a natural life process that produces many different emotions, including those of feeling loving, lovable, loved and love empowered. Learning how to find the guidance message in every emotion and what to do with that guidance, especially working with love’s connectedness, empathy, compassion and awe. 3. Developing the ability and habit to behave with, from and through love toward all including yourself - Technically, as I see it, this means learning and practicing the identified 12 groups of behavior for giving and getting healthy, real love. Also learning to operate via the 5 flowing forms of love identified as Adamant Love, Compassionate Love, Ebuliant love, Passionate Love and Serene Love while enriching others with each and being enriched by each. And learning actions to take in the fulfillment of the 5 functions of healthy real love, to connect, to nurture, to protect, to heal and to be enriched and rewarded with joy. The above are the big three to get started on but there is a great deal more. Happily you can go on a joyous love learning journey for the rest of your life because real love is an immense, oceanic, yea, even cosmic topic. These are just some of my accumulated ideas, discoveries and understandings about love (arguably well-grounded in much experience and broad ranging research). It is important that you learn there are many more which may do you as much or more good than mine. So, look for them. Also know more are being developed as we speak because more and more love research is being conducted in so very many fields. It can all be so very exciting and worthwhile once you get into it, if you haven’t already. Let me further say, I lovingly hope none of the great truths about love will escape you. One More Little Thing. How about sharing this mini-love-lesson with somebody and seeing if it turns into a loving cross-enrichment event? Quotable Question: If love is supposed to be so mysteriously unknowable, why did major religions of the world spend so much effort telling us about it?